We repair built in microwaves and over the cook-top microwave ovens. We have expert factory-trained technicians to provide you with fast, superb service. Microwaves work by sending 4000 volts DC to the magnetron tube. The tube shoots microwaves to the food, causing the water molecules in the food to vibrate, thus creating heat. Our microwave technician has been repairing microwave ovens since 1978 and have seen it all. 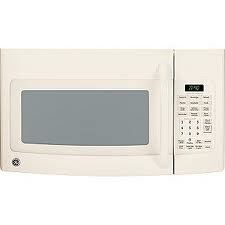 Most built in or over the cook-top microwave ovens we end up repairing. Often it is more advantageous to repair an expensive built in microwave oven, rather than replacing it. Call (941) 366-8844 for fast, knowledgeable, and friendly service. Appliance Repair Service of Sarasota.